Please join us for today’s service led by Rev. Paul Dodenhoff. 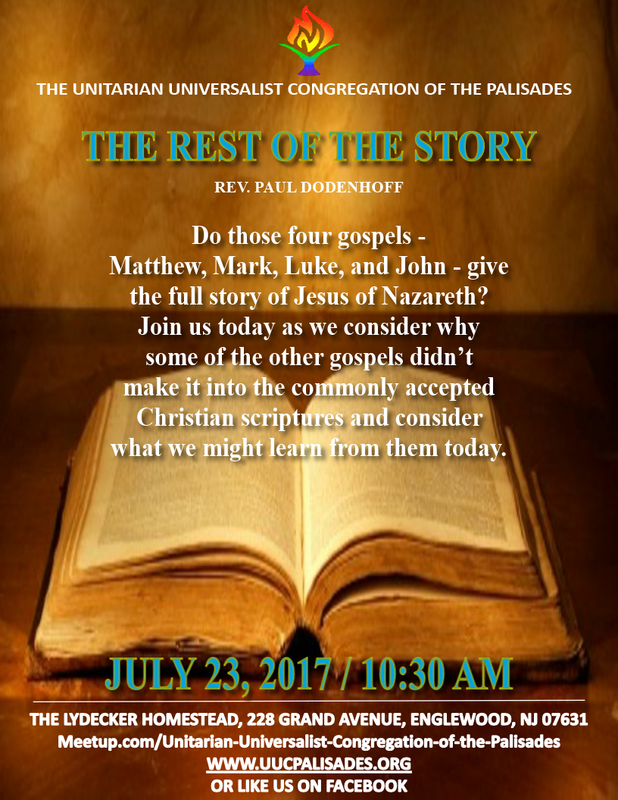 Do those four gospels – Matthew, Mark, Luke, and John – give the full story of Jesus of Nazareth? 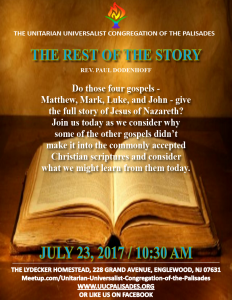 Join us today as we consider why some of the other gospels didn’t make it into the commonly accepted Christian scriptures and consider what we might learn from them today. Bring a friend and stay for cofee and light refreshments. We look forward to seeing you!